Our Abpromise guarantee covers the use of ab204252 in the following tested applications. 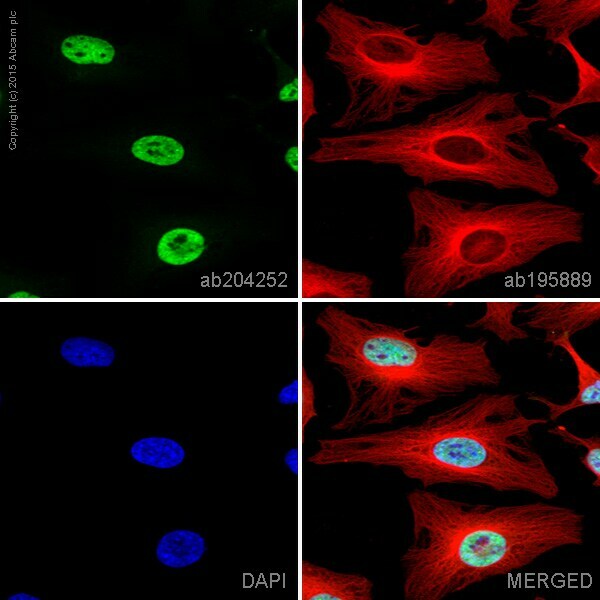 ab204252 staining AKT1 + AKT2 + AKT3 in HeLa cells. The cells were fixed with 100% methanol (5 min), permeabilized with 0.1% Triton X-100 for 5 minutes and then blocked with 1% BSA/10% normal goat serum/0.3M glycine in 0.1% PBS-Tween for 1h. The cells were then incubated overnight at +4°C with ab204252 at a 1/100 dilution (shown in green) and ab195889, Mouse monoclonal to alpha Tubulin (Alexa Fluor® 594), at a 1/250 dilution (shown in red). Nuclear DNA was labelled with DAPI (shown in blue). 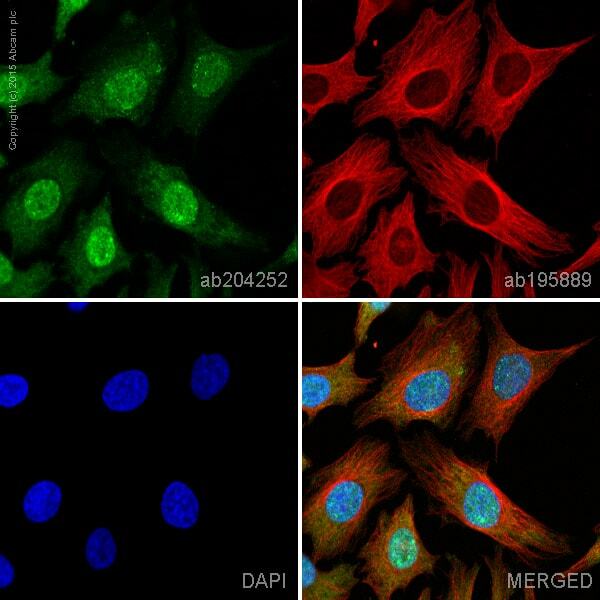 ab204252 staining AKT1 + AKT2 + AKT3 in HeLa cells. The cells were fixed with 4% formaldehyde (10 min), permeabilized with 0.1% Triton X-100 for 5 minutes and then blocked with 1% BSA/10% normal goat serum/0.3M glycine in 0.1% PBS-Tween for 1h. The cells were then incubated overnight at +4°C with ab204252 at a 1/100 dilution (shown in green) and ab195889, Mouse monoclonal to alpha Tubulin (Alexa Fluor® 594), at a 1/250 dilution (shown in red). Nuclear DNA was labelled with DAPI (shown in blue). ab204252 has not yet been referenced specifically in any publications. 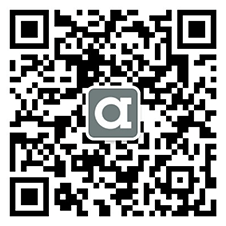 There are currently no Customer reviews or Questions for ab204252.